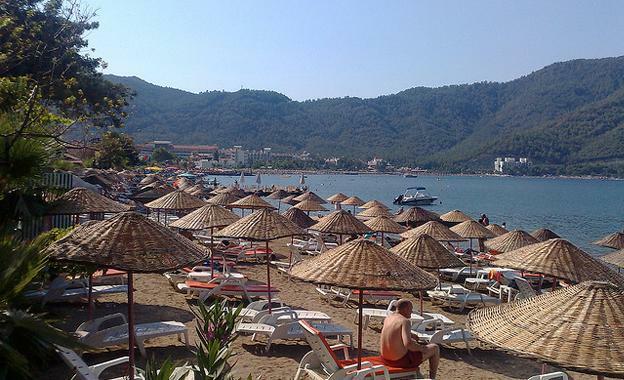 A relatively small town surrounded by Pine forests on three sides and the sea on the fourth, Icmeler (pronounced: each-mell-er) is a popular holiday resort destination for people from all over Turkey, Europe and even the world. A former fishing village, Icmeler was a small village known for fishing and sponge-diving. 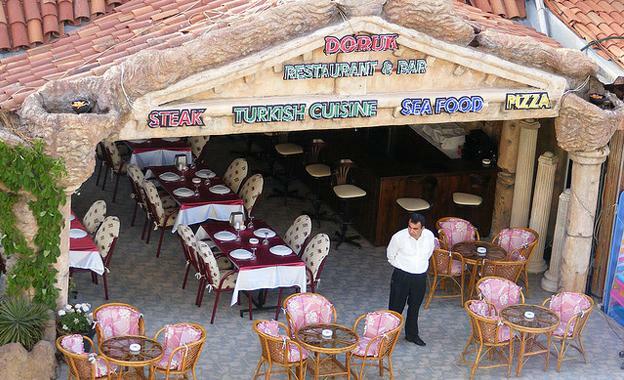 However, increased tourism has turned this village into the heart of the Turkish Riviera. Icmeler is all about the sea, the sand and everything that comes with it. The place is a spot for tourists to come and relax, away from the mad cities and work. 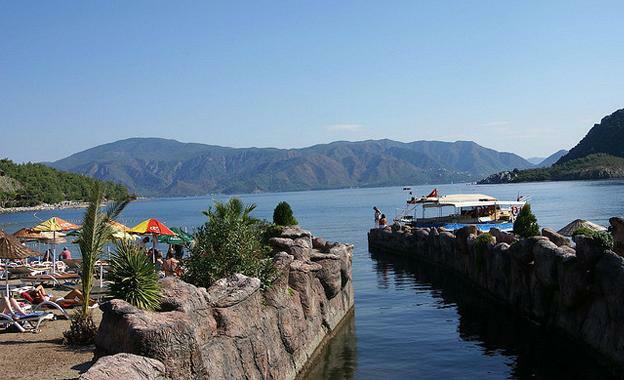 About 8 kilometers from Marmaris, most tourists to the town are based out of Marmaris. Despite the increasing popularity of the town, entertainment options are rather scarce for tourists in Icmeler. There are plenty of restaurants and bars around, but most of them are not open late into the night. There are live features, shows and bands performing up until midnight, following which only a few nightclubs stay open. Dancing and partying hits its highest after midnight, for some time, before dying down again to end the revelries. During the day, the beach is the biggest attraction and tourists are usually seen bobbing in and around it. There are plenty of water-sports in the region, with scuba diving, waterskiing and much more. Shopping was a pleasure at Icmeler city because of the low prices in the local stores. However, the increase in tourist inflow has also seen the prices treble in a couple of years. The Navy Hotel is just 75 metres from the beach, the hotbed for tourists at Icmeler city. Rooms come with all modern amenities and the hotel has car rentals on offer as well. This is a great way to enjoy the area’s prime attractions as well as go off to the nearby countryside for some fantastic views of the town from atop a mountain. There are plenty of shopping and entertainment options with restaurants, stores and clubs lining the streets. The Navy Hotel is known for its excellent on-site restaurant as well as a swimming pool & café. The hotel also offers excellent views from its rooms, making up for the 95 kilometre trip from Dalaman airport to the town. 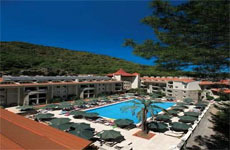 The Grand Yazici Club Maramris Palace hotel is the pick of the bunch as far as accommodations in Icmeler are concerned. Placed in one of the most beautiful parts of the town, the hotel is all about escaping from the hustle-bustle. 90 kilometres from the Dalaman Airport, the Grand Yazici Club Maramris Palace Hotel is a beautifully designed structure, equipped with balconies, luxury bathrooms, fireplaces and other amenities in each room. The hotel is all about luxury, providing fantastic garden complexes, a private pier, a private beach and marina as well as several dining options – both indoors and outdoors. There is a nightclub at the hotel, offering late-night party options besides the many bars on location. The hotel also has a full-service spa, six swimming pools and much more on offer to its guests. The plethora of options to keep tourists occupied is a great way to make up for its 5-kilmotre separation from the shopping and entertainment districts in Icmeler. However, with everything offered in-house, the hotel is a getaway for those looking for a more-private time in Icmeler. Just a mile from the Icmeler city centre, the Julian Forest Apartments are close to the shopping, wining and dining centres of Icmeler. Guests, at the hotel, enjoy a fabulous waterfront location as well as water sports and almost instant access to the beach, just a few minutes away. Almost every major attraction, in Icmeler city, is minutes away from the Julian Forest Apartments. There are 74 guest rooms at the complex, offering all modern amenities including kitchenettes and safes. The hotel’s restaurant and bar are ideal for a pleasant meal while the garden & sauna can help you get some of your health back in shape. The hotel has a hair salon and spa, in case guests feel like pampering themselves a little.